Also known as the stubby-stalk, the short-stemmed slippery Jack was first described in the late 19th century by American mycologists. It is found all over North America, and in some areas overseas as well. It was first scientifically described as Boletus viscosus by Charles Frost in 1874. However, in 1995, Charles Horton Peck found specimens in pine woods in Albany, New York and renamed it as Boletus brevipes. Its current name was assigned in 1898 by Otto Kuntze. 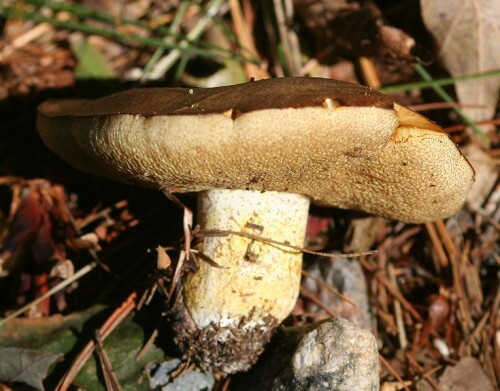 William Alphonso Murril tries to rename in as Rostkovites brevips in 1948, but this genus is now thought to be synonymous with Suillus so Kuntze’s bionomial name stuck. 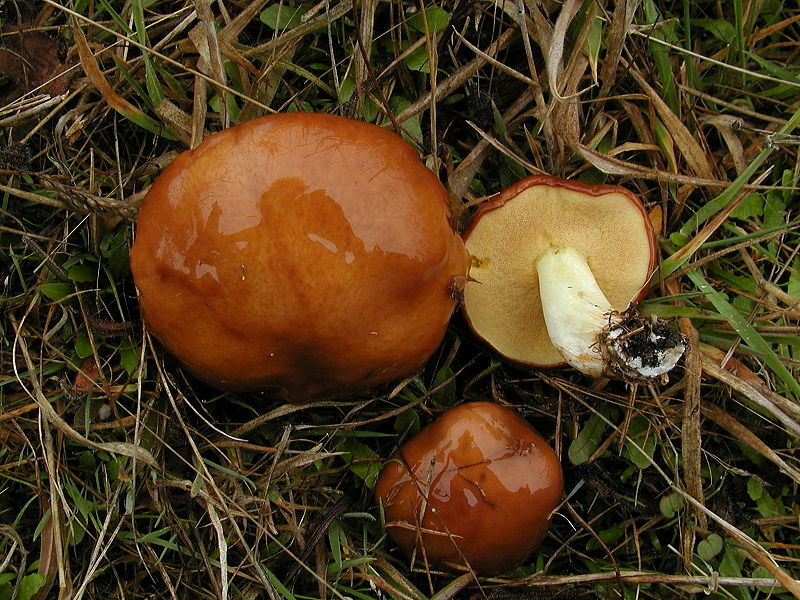 The short-stemmed slippery Jack grows in groups or by itself during the late summer to autumn. 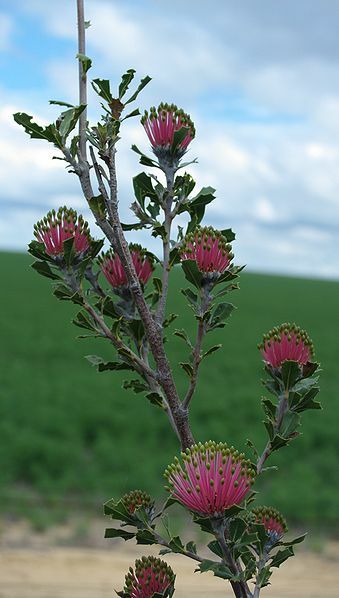 It is most commonly found in North America,including Hawaii, Mexico, and Canada. This species has also be found in Puerto Rico with pine trees, where it was thought to be introduced by the USDA Forest Service in 1955. Other introductions have occurred in non-native pine plantations such as in India, Argentina, New Zealand, Taiwan, and Japan. This fungi’s cap is deep brown to reddish brown. It then fades to a tan as it ages, and does not bruise when handled. Its caps surface is smooth, however it can be sticky or slimy depending on the moisture in the environment. The cap is between 5 – 10 cm wide. Its tubes are yellow and become olive-green with age. Its pores are yellow and about 1 – 2 mm wide. Its stem is white to pale yellow. It is dry, solid, and has a fine white powder on its surface. Like other varieties belonging to the Suillus species, they have glandular dots on its stem. These dots may be absent, undeveloped, or obscurely formed. It is an edible mushroom, and is considered an excellent choice by some people. 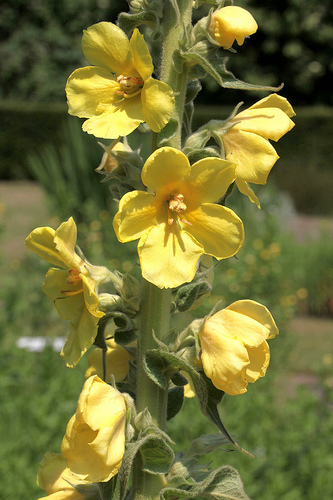 It has a mild odour, and its taste can be either slightly acidic or mild. Some field guides recommend people to remove the slimy cap cuticle and to remove the tube layers before it is eaten. It is also a common food consumed by grizzly bears in Yellowstone National Park. The short-stemmed slippery Jack’s fruit bodies have been analysed for fatty acid composition. 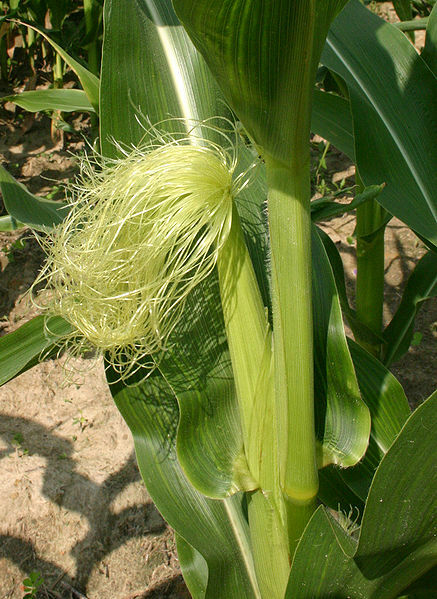 Its cap has a higher lipid content compared to the stem. It was found that linoleic acid made up the majority of the lipids in the short-stemmed slippery Jack. Linoleic acid is actually an essential fatty acid that is also known as Omega 6 fatty acids.